James Currie, Last of the Big Tuskers, is a life-long wildlife enthusiast and native of South Africa. Becoming one of the most recognizable faces in birding and wildlife in North America, James hosts and produces the popular birding TV show, "Nikon's Birding Adventures", as well as "Aerial Assassins" on National Geographic WILD, among others. He has appeared as a special guest on various TV shows and radio, and been the subject of several newspaper articles. In addition, James filmed for, consulted for, and provided footage for the 2011 Hollywood birding movie, The Big Year, starring Steve Martin, Jack Black, and Owen Wilson. An expert in the fields of sustainable development and environmental management, James holds a Bachelor's degree in African Languages and a Masters Degree in Sustainable Environmental Management. He worked as the Managing Director of the non-profit Africa Foundation, which directs its efforts towards the upliftment of communities surrounding wildlife areas in Africa. 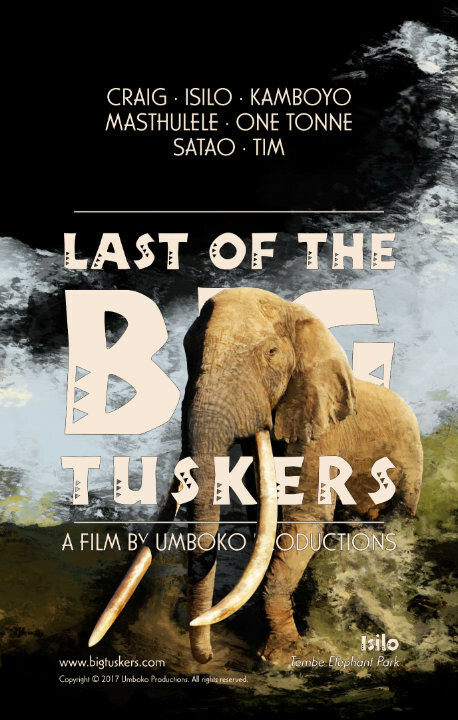 James Currie's film, Last of the Big Tuskers, focuses on the last of the iconic big tusk elephants and what is being done to keep them safe. A big tusker elephant is an elephant with at least one tusk weighing 100 pounds or more. Only 100 years ago, thousands roamed the wilds of Africa. Sadly today, only 22 remain. James plans to attend the NatureTrack Film Festival, and we look forward to introducing him to our audiences. Director Barend van der Watt, Rooted: The Rock Splitter, worked as a Game Ranger and Field Guide in the Kruger National Park from 2002-2004. At the end of 2004, he started his filmmaking career as a wildlife cameraman when he was granted the opportunity to work for National Geographic filmmaker, Kim Wolhuter. He worked on numerous productions for National Geographic, Animal Planet International, and many other broadcasters. Over the years, he has also worked with the IUCN, Wildlife Conservation Society, Ghana TV, SABC, ETC, and many more. In 2008, Barend relocated to Washington DC where he worked with the National Geographic Society, gaining priceless experience and exposure. His work has taken him to various countries like: Botswania, Zimbabwe, Zambia, Swaziland, Namibia, and Gabon. 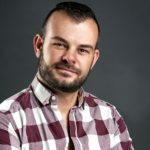 Over the years he has mastered skills as a documentary and series editor and cameraman; he has been working in the film and tv industry for the past 15 years. 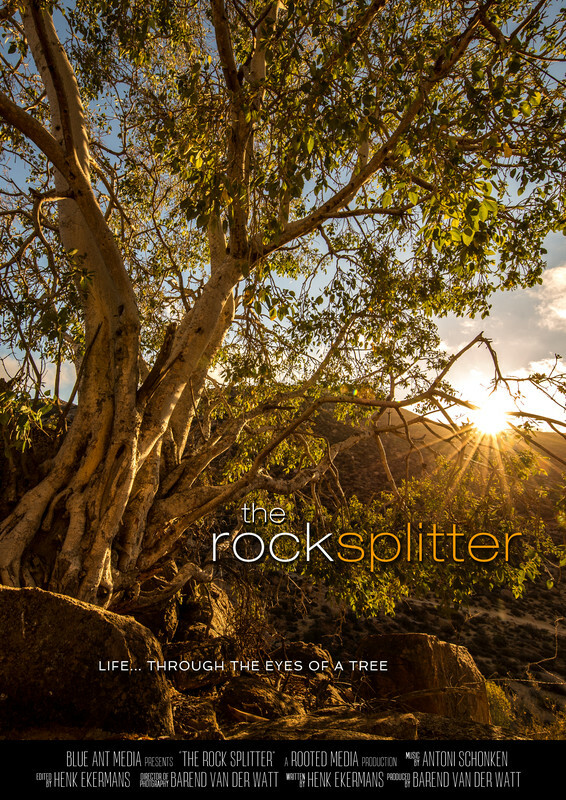 The Rock Splitter is part of a 5-part series called "Rooted" produced by Rooted Media. Focusing on the Namaqua Rock Fig tree, which stands rooted on the slope of a rocky hill in Namaqualand, South Africa, the film documents how this ultimate survivor withstands unforgiving conditions in a landscape facing ever rising temperatures and less and less rainfall each year. Sending its aggressive root system deep into the earth to search for water, the fig acts as an oasis for birds and other creatures. We are delighted that Rooted: The Rock Splitter will be premiering at the NatureTrack Film Festival. Director Jim Toomey, The Adventures of Zack and Molly, is an award-winning cartoonist and filmmaker who created the popular comic strip "Sherman's Lagoon", which appears in over 250 daily newspapers, in 20 countries, and in six languages. 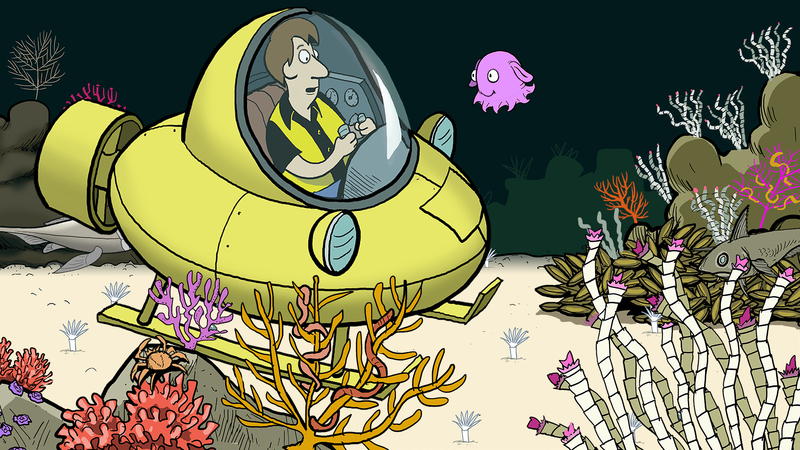 The strip's underwater theme explores environmental issues in a way that appeals to adults and children alike. 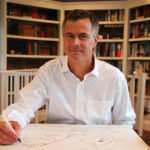 In addition to creating the daily strip, Jim is an award-winning videographer, and has produced videos for the United Nations, the Pew Charitable Trusts, and World Resources Institute. His videos feature a blend of animation and live-action that appeals to a broad variety of viewers. He has given talks at a variety of venues, from an April 2010 TED Talk to the Royal Society in London to Harvard University to his children's kindergarten class. In The Adventures of Zack and Molly, Zack is more interested in the small world of his smart phone than the larger world around him. His online request for a roommate is answered by Molly, a tech-savvy dumbo octopus on a mission to tell the world about the importance of the deep ocean. A delightful learning guide that was developed to accompany the film, is available to download here. 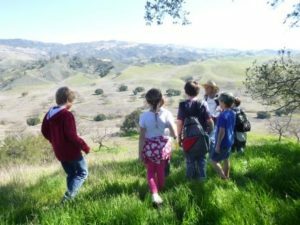 Founded by Sue Eisaguirre, NatureTrack introduces school children to outdoor spaces from the seashore to the inland oak woodlands of Santa Barbara County by providing cost-free outdoor field trips. Utilizing local trails and beaches throughout the county, NatureTrack instills students with leadership skills, attitudes and habits for lifelong learning, inspiring them to be respectful stewards of the natural world. Since 2011, over 18,000 students have had the opportunity to experience a NatureTrack field trip. Demand for the curriculum coordinated program has increased every year with teachers praising the docent-led excursions that align with classroom instruction. ← NatureTrack Film Festival has the films you want to see!